The first allergist in The Woodlands to offer OIT (Oral Immunotherapy) for food allergies. At the Woodlands Allergy Center your health is our priority. We are a family-oriented, individual practice that is dedicated to children and adults with asthma, allergies and immunodeficiency. We strive to deliver the highest quality of care by empowering our patients to take control of their symptoms, and live happy and productive lives. Unlike the experience at many high-volume practices, our treatments are personalized to fit your needs. We do not give up on complicated diagnoses, we do testing only if appropriate, and our physician is easy to reach. •	Allergies: seasonal, pet, drug, insect, food. •	Skin and patch testing. •	Food allergy oral immunotherapy treatment (OIT). •	Drug testing and challenges. •	Environmental and venom immunotherapy (allergy shots). •	Asthma and chronic cough evaluation and treatment. •	Chronic swelling and hives. •	Xolair therapy and other biologic medications. •	Eczema and contact dermatitis evaluation. Dr. Anna George is a Board-Certified Allergist/Immunologist with a decade of experience in her field. She moved from Colorado to The Woodlands in the summer of 2015 to be closer to her husband’s family. She has been taking care of patients in the Woodlands and surrounding areas since 2015, and opened a solo practice Creekside Village Park Green in December of 2017. The practice is well known for its excellent patient care and relaxing environment. Dr. George specializes in food allergies, seasonal allergy flares, recurrent infections and chronic hives. She is excited to be the first allergist in the Woodlands to offer the allergy risk reduction program (ARR), for infants with family history of allergies and eczema, and oral immunotherapy (OIT) to food for children and adults with life-threatening food allergies. 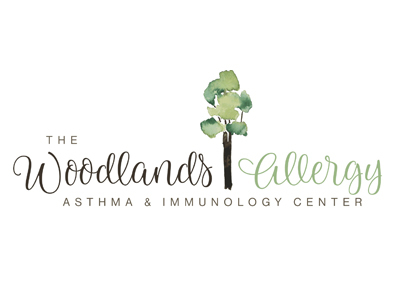 At the Woodlands Allergy Center, we excel in food allergy testing/evaluation, safe oral food challenges and food re-introduction, patient education and treatment. Many children with food allergies develop anxiety around food. Travel, eating at restaurants or at social gatherings can become stressful. The goal of our OIT treatment is for patients to safely consume foods that once threatened their health and to substantially improve their quality of life. The Woodlands Allergy Center is conveniently located at the Creekside Village Green.